A Grapevine-based medical real estate company is building a $25 million medical complex in Garland. The North Garland Medical Center will be constructed by New Era Partners at 7217 Telecom Parkway. The 3-story 95,000 square foot of healthcare development space will be built near Bush Turnpike at Lookout Drive and Telecom Parkway. 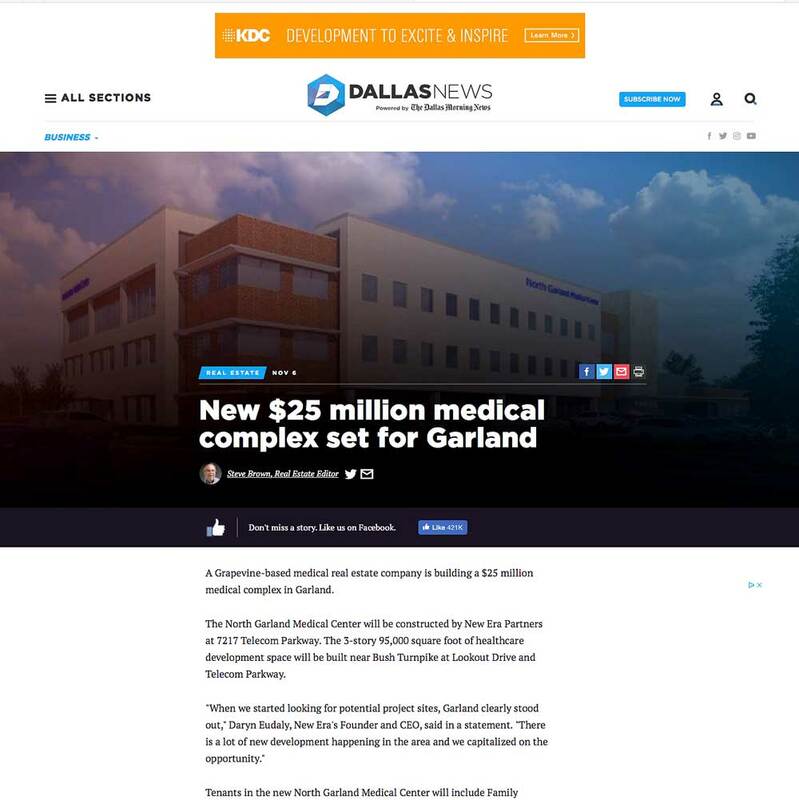 Tenants in the new North Garland Medical Center will include Family Medical Center Garland, Touchstone Imaging, Legacy Heart, Signature Medicine and several others.